Doug Garofalo with Xavier Vendrell, Roscoe Village, New Street. With a new mayor and its first regional plan since the 1909 Plan of Chicago, Chicago is debating the kind of city it wants to become in the twenty-first century. Residents and planners agree that public transit is central to the livability and economic vitality of Chicago's communities. The "L" has profoundly shaped the city's development, but has become less relevant to how many people live and work. 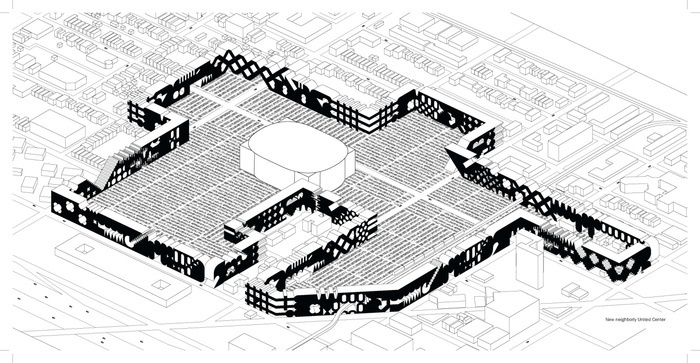 In partnership with Stanley Tigerman, who initiated the project, the Chicago Architecture Foundation presents the Design on the Edge: Chicago Architects Reimagine Neighborhoods exhibition from September 2011 through June 2012, with related public programs and a publication. The exhibition presents proposals for seven sites, designed by Chicago architects: John Ronan, Jeanne Gang, Ross Wimer, Darryl Crosby, Doug Garofalo with Xavier Vendrell, Sarah Dunn, and Patricia Natke. 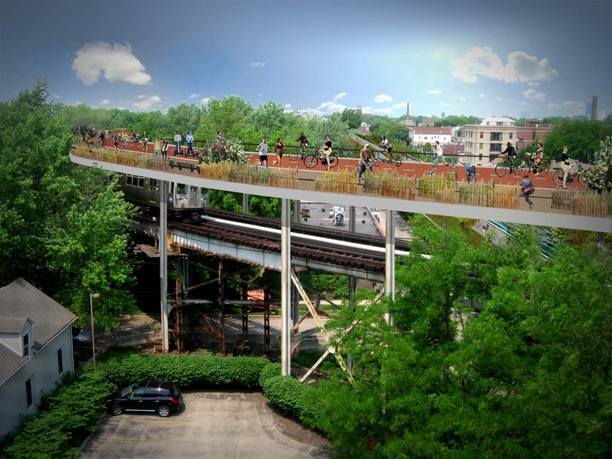 Design on the Edge will focus on transit-oriented development, generating public interest in and discussion about creating vibrant, walkable, diverse neighborhoods. Stanley Tigerman, FAIA, established his practice in 1967, and is currently in partnership with his wife, Margaret McCurry. Tigerman was a founding member of the Chicago Architectural Club and cofounder of Archeworks. Not subscribing to any one aesthetic, Tigerman specializes in institutional and educational facilities, museum installations, as well as mixed-use and affordable housing. He was named the 2008 recipient of the AIA Illinois Gold Medal in recognition of outstanding lifetime service. 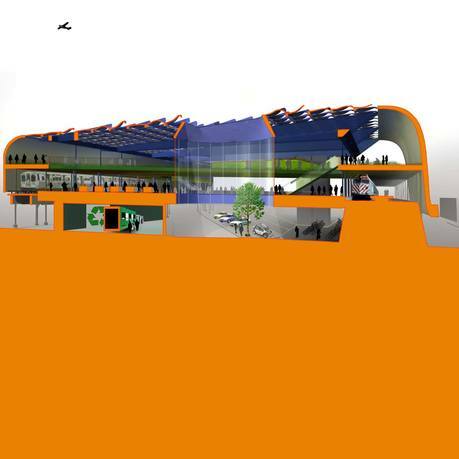 In 2008 he also received the AIA/ACSA Topaz Medallion for Excellence in Architectural Education. Tigerman McCurry Architects has received seven National AIA Honor Awards and more than 135 awards for architecture and design excellence with projects spanning 18 states and ten other countries. He received his architectural degrees from Yale University. Tigerman edited Visionary Chicago Architecture: Fourteen Inspired Concepts for the Third Millennia, which was published in 2004. Gregory K. Dreicer is a historian and curator whose innovative explorations of the built environment have received national recognition. He is responsible for institutional interpretive direction and development of exhibitions, programs, publications, and content-based web experiences at CAF. Dreicer's projects at CAF include Chicago Model City (2009), an examination of the ideas behind city planning and building; Green With Desire: Can We Live Sustainably in Our Homes? (2008); and Do We Dare Squander Chicago's Great Architectural Heritage? Preserving Chicago, Making History (2008). His publications include exhibition catalogues for Me, Myself, and Infrastructure: Private Lives and Public Works in America (2002) and Between Fences (1996). Dreicer received his PhD from Cornell University's Department of Science and Technology Studies. He holds an MS in Historic Preservation and a BA in French and Psychology from Columbia University. Darryl Crosby studied at the University of Illinois at Chicago School of Architecture, and began working for his professor, Stanley Tigerman, at Tigerman McCurry Architects while still in school. Crosby cofounded 3D Design Studio with Melinda Palmore in 1997. The firm won the Universal and Affordable House Competition, sponsored by the City of Chicago in 2002, for accessible and adaptable housing. Current projects include designing a new lounge in the renovated Goodman Theatre, and the Intergenerational Learning Center in Chicago, a uniquely configured space clad in a variety of materials providing housing, education, and day care for children and seniors. 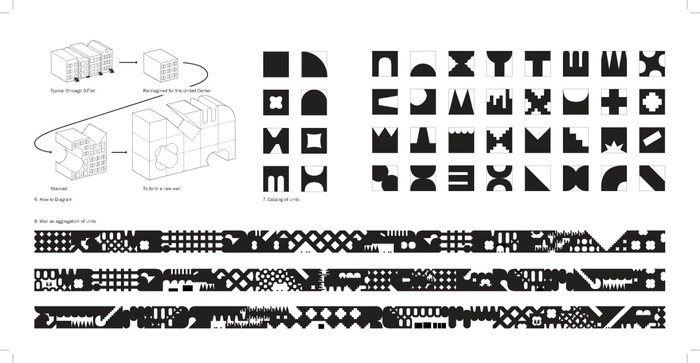 A research-based architecture and urban design practice founded by Sarah Dunn and Martin Felsen, UrbanLab is particularly interested in issues around the megalopolis. 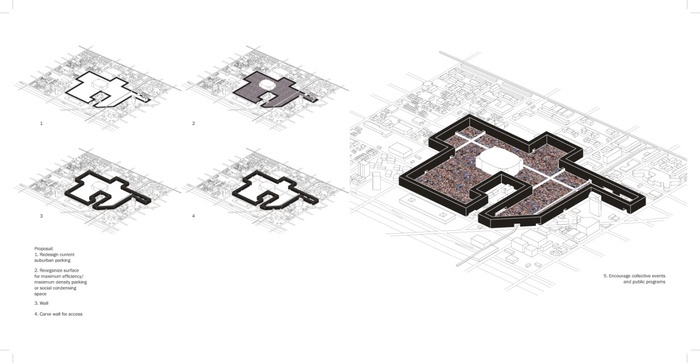 UrbanLab's practice focuses on public infrastructure as a design opportunity to develop new architectural forms. UrbanLab posits that possibilities for design innovation arise out of the investigation of various constraints of combining infrastructural and ecological systems with cultural desires. Advancing ideas of infrastructural and ecological urbanism, UrbanLab proposes a hybridization of architecture, landscape, city, infrastructure, and ecology that attempts to address the issue of contemporary public space and urban architecture. Jeanne Gang is the founder and principal of Studio Gang Architects, an international practice whose work confronts pressing contemporary issues. 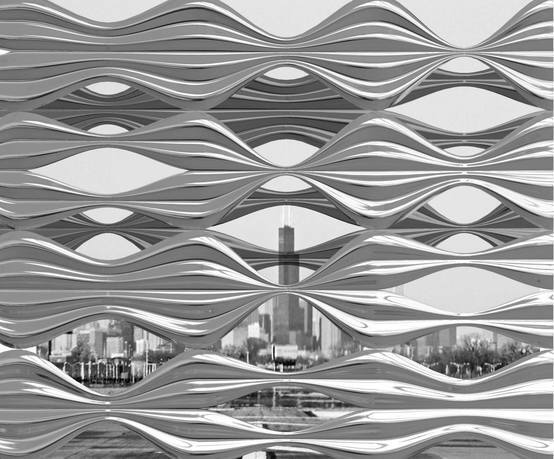 Seeking to answer questions that lie locally and resound globally, Gang has produced award-winning and innovative architecture, including Aqua Tower, Northerly Island framework plan, and the Nature Boardwalk at Lincoln Park Zoo. Gang's work has been exhibited at the International Venice Biennale, the Smithsonian Institution's National Building Museum, and the Art Institute of Chicago. She is an adjunct associate professor at the Illinois Institute of Technology, where her studios focus on megacities and material technologies. Douglas Garofalo (1958–2011) established an internationally renowned practice in Chicago that produced architectural work through buildings, projects, research, and teaching. The work of Garofalo Architects has been widely recognized for innovative approaches to the art of building, and was exhibited at the Art Institute of Chicago in 2006. Garofalo graduated from the University of Notre Dame in 1981 with a BArch, received his MA from Yale University in 1987, and was awarded the prestigious SOM Foundation Traveling Fellowship. He was professor at the University of Illinois at Chicago's School of Architecture, where he served as acting director from 2001–03. Garofalo passed away in July 2011. Katharine Keleman has served as full-time exhibition curator since 2008. Previously, she worked with CAF as exhibition consultant on Do We Dare Squander Chicago's Great Architectural Heritage? and Green With Desire: Can We Live Sustainably in Our Homes? 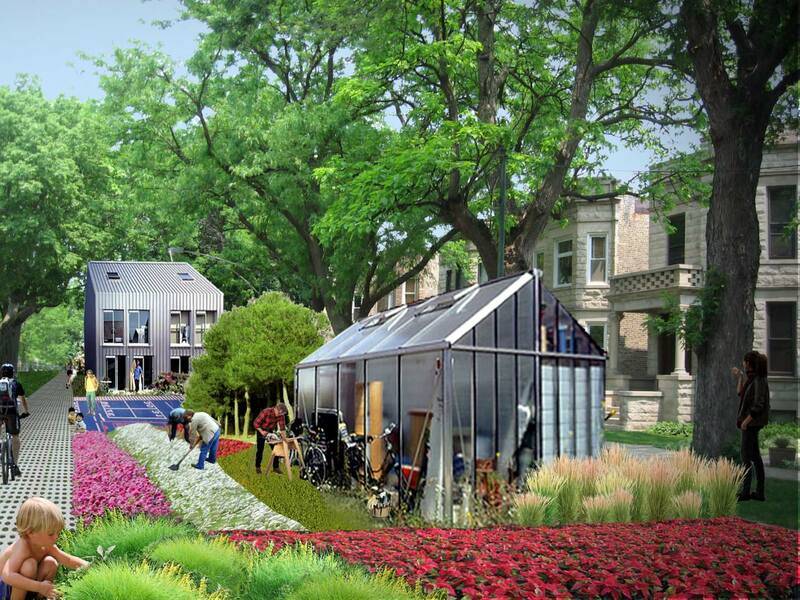 Keleman has since curated CAF's Chicago Model City and Neighborhoods Go Green! exhibitions. Keleman has participated in architectural and sociological research projects, including landmark nominations, and historical and field studies of regional modernism. Keleman holds an AB from the University of Chicago and an MS from the School of the Art Institute of Chicago focusing on historic preservation. Patricia Saldaña Natke is founding partner of UrbanWorks, an architecture, planning and interiors firm. Natke's professional accomplishments include chairing the National Diversity Committee for the American Institute of Architects; lecturing in Brazil as a 2007 recipient of a Partners of the Americas Architecture Travel Grant; presenting on topics ranging from emerging practices to sustainability at AIA National Conferences; and representing the city of Chicago at the International Expo in Osaka, Japan. Natke has served as adjunct associate professor at the University of Illinois's Graduate School of Architecture and as a facilitator at Archeworks, a postgraduate school of design. John Ronan holds an MArch degree from Harvard University's Graduate School of Design and a BS from the University of Michigan. Ronan was named a member of the inaugural Design Vanguard by Architectural Record in 2000, and was selected to the Architectural League of New York's Emerging Voices program in 2005. His work has been exhibited throughout the United States and Europe, and has been featured in international publications. A monograph on Ronan's work Explorations was published by Princeton Architectural Press in 2010. He is an associate professor at the Illinois Institute of Technology College of Architecture. 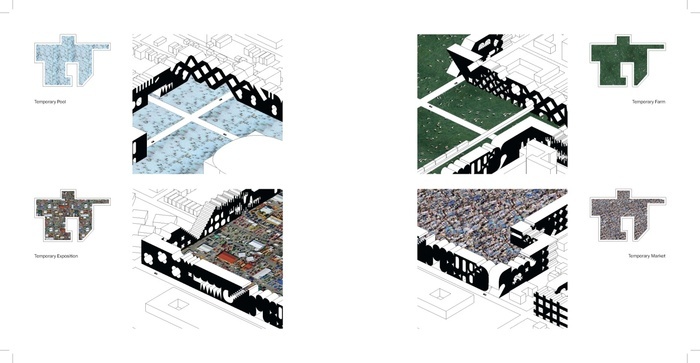 Xavier Vendrell studied architecture in Barcelona, where he has practiced since 1983. His work embraces a range of formats, including landscape architecture, urban design, public buildings, housing, and interior design. Vendrell's office was involved in several projects for the 1992 Olympic Games in Barcelona, and he won the prestigious 1997 FAD Award for the Riumar School. In 1999, Vendrell founded XVStudio Chicago/Barcelona, a collaborative practice of architecture, landscape, and design, whose work was the subject of an exhibition at the Graham Foundation in 2002. He is a professor at the University of Illinois at Chicago's School of Architecture. 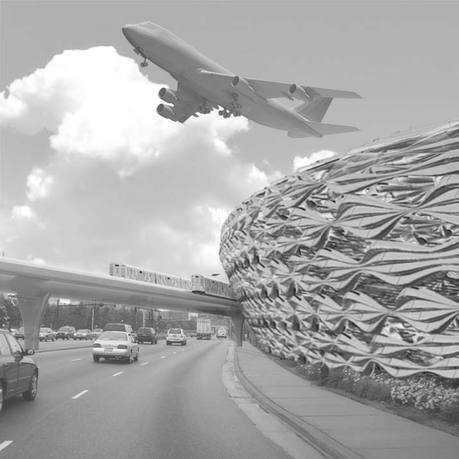 As design director in the Chicago Office of SOM, Ross Wimer, FAIA, has developed an extensive portfolio of projects which range in scale and complexity from master plans and airports to bridges and hardware. The rigor and logic of engineering, as well as environmental performance-driven design, remain driving forces in Ross's work. His projects have been exhibited in art and educational institutions worldwide, including the Venice Biennale, the Museum of Modern Art, Harvard University, the Art Institute of Chicago, and Los Angeles County Museum. His designs have earned many accolades, including three P/A Awards and numerous AIA awards. Founded in 1966, the Chicago Architecture Foundation (CAF) engages diverse public audiences in learning about architecture, infrastructure, and landscape with educational programs that include tours, exhibitions, lectures and symposia, and youth and family programs. CAF public programs challenge and inspire audiences to explore the role of architecture in shaping their lives and creating communities that are economically, culturally, and socially vibrant, and environmentally sustainable.